Casehub now have 200 people signed up for the class action against ParkingEye. This means they are 80% of the way there, with only another 50 ParkingEye victims needed. If you have an unexpected CCJ from ParkingEye you can read up about the class action here. ASDA recently cancelled their contract with Smart Parking to manage their car parks. The notice period appears to have come to an end - ASDA Bedminster has had the cameras and signs removed**. As yet, no new operator has been installed. A Prankster operative sent in pictures today of the ensuing carmageddon over the bank holiday weekend. No doubt Patrick Troy will now be on the phone and the Prankster will have to eat his hat. The photograph conclusively shows that without signage and ANPR to protect free city centre car parks, chaos almost instantly ensues. **except the signs they hid so well they couldn't find them themselves. On one of the threads I read that MIL try to trick people with an unsigned notice of discontinuation, so smiled when I received one from them; ha your not gonna have me over you monkeys. So my day in court came, off I went fully one hundred % prepared; boy was I the best dressed man at Truro County Court. Asked what to do; told to click name on roster, and was very disappointed not to see my name. Asked the Usher why? Showed him the letter of discontinuation, told them it was a common trick they played, he smiled and went off to check, came back a few minutes later to tell me that yes they had discontinued. Damn it was I disappointed, the Usher was trying hard not to laugh. I took my jacket off, tore off my tie, unbuttoned my shirt and stormed out of the Court. So there you go, thanks for the inspiration, and yes you can beat these Monkeys. MIL's victim was correct to doubt to notice of discontinuance as parking companies have tried this kind of trick before. However the best way of making sure is probably to both phone the court to check and also cover yourself by writing to the court with a copy of the notice. This way, you will be covered if any shenanigans occur. MIL Collections are obviously now running scared if they dare not even appear in their home court of Truro. The Prankster advises anyone who has been contacted by MIL Collections to get advice from pepipoo or moneysavingexpert to get help with a defence. If you paid MIL (before a court claim was filed) then you may be able to get your money back by suing MIL. If you paid MIL after they filed a claim then the situation is more complicated. The Prankster is investigating the situation to see if any remedy is possible; watch this space. Are Wright Hassall incompetent, institutionally biased, or just plain lazy? Wright Hassall brand-POPLA assessments are now coming in, and it is clear they are far from the standard set by London Council. This has the smack of a rubber stamping exercise rather than that of proper considered assessments, asking the question of whether Wright Hassall thought they were getting money for old rope during the tender process and could just write off all appeals with a few minutes work. Here is their boiler-plate paragraph regarding charge levels. The Supreme Court case judgment in ParkingEye v Beavis is 124 pages long, but nowhere does it state that a blanket charge of £100 is reasonable in all cases. In fact, the Supreme Court went to great lengths to make this clear, tweeting that the judgment took into account the use of the car park, and the clear wording of the notices. There have been a number of recent court cases where gnu-for-hire lawyers** have swaggered into court, chanting 'Beavis, Beavis, Beavis' only to leave with their tails between their legs whn the judge patiently explained that Beavis did not apply in this instance. The Prankster expects the same diligence from Wright Hassall in their adjudications. 'Pursuant to the guidance' just doesn't cut the mustard and gives no confidence that Wright Hassall have analysed the current case on the facts. The Supreme Court made it clear that the penalty situation was 'in play' and was only taken out of play by mitigating factors. Each case therefore needs to be analysed to see if these, or similar mitigating factors apply; if not, the charge remains a penalty and an unfair consumer contract. It is clearly necessary to examine both the placement and wording of the notices. There is no evidence that Wright Hassall have done this (the Prankster has previously analysed the Supreme Court decision in this respect). It is necessary to examine the nature of the charge. If it is for trespass, for instance, then the Supreme Court decision favours the motorist. There is no evidence that Wright Hassall have done this. It is also necessary to examine the nature of the charge and the use of the car park. There is no evidence that Wright Hassall have done this. If the charge is for overstay in a free car park, subject by its location to misuse, then the Supreme Court analysis is likely to apply. If not, then the way the legal sysem in this country works, it would be up to the claimant to make their case and show how ParkingEye v Beavis applies in this situation. It would certainly not be Wright Hassall's job to make the case for them. The lead assessor of POPLA made this clear when he first stayed the cases to await the Supreme Court judgment. In the Beavis case, the Supreme Court made it clear there was no viable alternative to a large charge to prevent overstaying free time. However, this would not be the case in all circumstances. For instance, MOTO Services make a modest charge of around £12 to deter overstaying the two hours free time at service stations. This presumably works well for them as they have been doing this for many year. Given the current crop of verdicts, The Prankster therefore asks the question, are Wright Hassall incompetent, institutionally biased, or just plain lazy? If the answer is the first, then Wright Hassall must be removed as POPLA assessors. Alternatively, if the answer is the second, then Wright Hassall must be removed as POPLA assessors. Lastly, if the answer is the third, then Wright Hassall must be removed as POPLA assessors. Parking companies use debt collectors for several reasons. Debt Collectors, unlike Bailiffs, have no powers, so the first reason is to scare a victim into paying up. By sending letters with red writing, capitals, short deadline dates and threats of debt escalation, this often works. Some debt collectors track down the victim's telephone number and bombard them with endless aggressive calls. Typically the debt collection company works on a no-win, no fee basis. A £100 parking charge will be escalated to £160. If the victim pays up, the parking company gets the original £100, and the debt collector gets £60. A second reason to use debt collectors is to artificially escalate the claim. The parking company pass the debt to a sister company, often owned by the same person as the original parking company. This lets them get round the £100 limit on parking charges by adding on whatever they want. If the debt collector fails to collect the debt, it returns to the parking company. However, often the debt will stay at the new increased level even though the parking company has not incurred costs (being on a no win no fee basis with the debt collectors). Different parking companies use different debt collecting companies, and change them from time to time. Excel Parking (and their subsidiary VCS) for instance have over the last year or so gone through TNC, Wright Hassall and BW Legal. Now it looks like BW Legal have been given the old heave-ho, and Excel have switched to using DCBL. The Prankster has been contacted by a number of people receiving their letters. 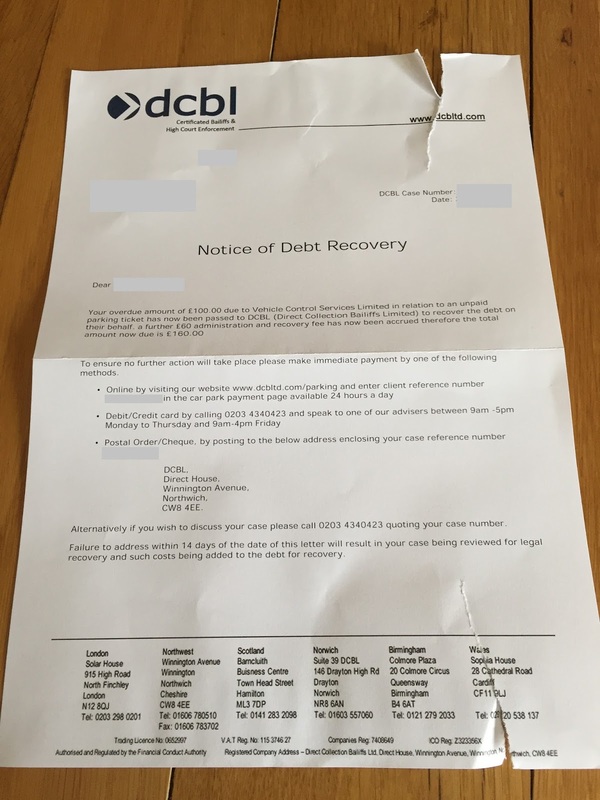 DCBL are both debt collectors and bailiffs, which has worried some recipients of these letters. however, in this case they are acting as debt collectors. Excel do take some motorists to court. The problem for any person receiving one of these letters is knowing if they are one of these or not. The Prankster therefore advises not ignoring these letters but replying to deny the debt (if you do). If you cannot cope with the letters and wish to pay the charge, then The Prankster suggests you negotiate with the parking company on a without prejudice basis to pay the original charge (or a discounted amount), rather than negotiating with the parking company. This sometimes works and sometimes does not. In one case The Prankster helped with the motorist's relative had forgotten where they parked the car, before remembering after several days. A number of charges had accrued in the time. The Prankster therefore helped to attempt to negotiate a fair amount based on the unpaid parking fee rather than a per-day penalty charge. Sadly the debt collecting company (Debt Recovery Plus) were too greedy and refused to drop the settlement amount. As the motorist was not liable, The Prankster eventually broke off negotiations and suggested the the debt collectors contact the driver instead - DR+ ended up with nothing. In other cases a settlement has been reached. The Prankster suggests writing to DCBL to limit costs in case Excel do go to court. In line with the Credit Services Association code of practice I require all communications from you to be by letter. You may not use phone or email. The debt is denied. Please refer the debt back to the principal. Any further communications apart from to confirm this will be treated as harassment. Debt collection costs will therefore be wasted costs on your part. I would be prepared to use alternative dispute resolution (ADR) in an attempt to settle this matter and I suggest the Consumer Ombudsman. For the avoidance of doubt, the IAS has been exposed as a kangaroo court and would not be acceptable. I also point you to the clear conflict of interest between the IAS and Gladstones Solicitors, who are owned by the same people. Otherwise I suggest we settle the matter in court and I suggest you send a letter before claim without delay. I will ask the court to apply sanctions if you refuse ADR. A large number of these DCBL cases appear to be airport related. In these cases no debt would exist because it is impossible to enter into a contract while driving past complicated signs at 50 mph. The driver simply doesn't have time to read the signs and therefore cannot enter into a contract. These men are thugs who profiteer from various scams. A popular one at the moment is to have a woman (usually a large lady leaving in a BMW) offer you a ticket with lots of time left on it. They then clamp you for transferring the ticket. This woman is clearly in on the deal. The car park was run by Car Stoppers employed by retired magistrate Ted Evans and The Prankster wondered how the enforcers contacted motorists as they are not a member of a parking-related accredited trade association and so should not be able to get keeper details from the DVLA. This post on facebook, offers a suggestion. Keeper addresses were apparently illegally obtained through a West Yorkshire Police contact. (Mr Evans disagrees with this version of events). Gareth Evans, Edward's son, was having an affair with an employee of the West Yorkshire Police, a lady from Haworth called Mrs V**** B*******. Mrs B*******, on many occasions, provided information off the Police National Computer to Gareth to chase up car park disputes, as the DVLA will not provide them the licence to obtain vehicle keeper details. The Facebook page Changegate car park Haworth reveals further items of interest. Ted Evans is apparently suing journalist Graham Smith for defamation, part of which is for linking to a song. The song was written by Adrian Crozier and is apparently not complimentary about Mr Evans. 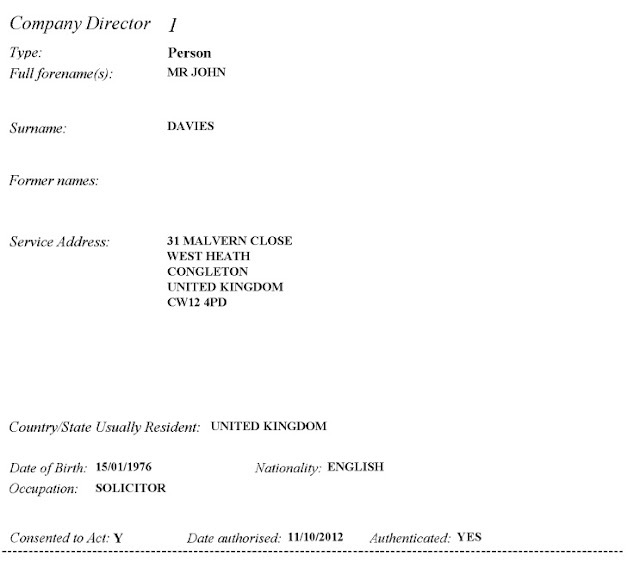 Mr Evan's solicitor has excused himself from the claim, leaving Mr Evans to represent himself. Mr Evans also sued Adrian Crozier for defamation for writing the song. After six years the claim was eventually dismissed in June 2017. The Prankster wishes to make it clear that Mr Crozier's details were obtained from the DVLA, and not from any other source. The allegation regarding the potential abuse of keeper addresses is extremely worrying. The DVLA have many times stated both to parliament and the public at large that they take great care to protect keeper data and to keep it safe from unscrupulous hands. In The Prankster's opinion there can be few more unscrupulous people than those running Changegate Car Park Haworth, given their reported history of threats, violence, perjury and vexatious litigation. The Prankster is interested on finding out whether they did ever obtain keeper details to pursue parking charges, and if so, how these details were obtained. If they do not obtain keeper details, then the charges are essentially unenforceable, as there is no way to contact the driver or keeper. The Prankster considers that if you were a vehicle keeper and received a letter regarding parking charges at this car park then it may be worth investigating how your address was obtained. If it was obtained illegally then you may have a valid case against Ted Evans, Car Stoppers or Mrs V*** B*** or West Yorkshire Police and you may also have a valid Data Protection complaint. Please contact The Prankster if you want to be put in touch with other victims. As of this update (June 2017) so far nobody has yet contacted the Prankster. As an aside, Ted Evans was probably the person who most contributed to getting clamping banned. When he clamped parliamentary speaker Betty Boothroyd's friend the chain of events ended with The Protection of Freedoms Act 2012, which banned clamping and introduced keeper liability instead. 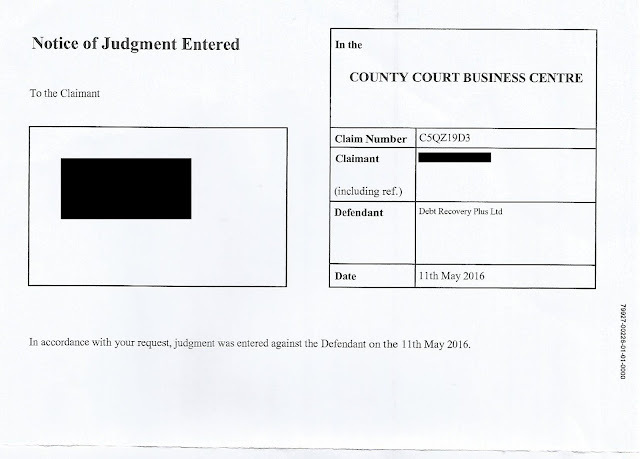 Debt Recovery Plus were recently taken to court for contacting a motorist directly. When a motorist is contesting a parking charge, they are within their rights to require a debt collecting company to go through an agent and not contact them directly. In this particular case, the motorist did use an agent, Appeal My Ticket, and the agent informed DR+ that if they contacted the client directly they would be liable to £200 plus costs. DR+ did contact the client directly, so Appeal My Ticket filed a county court claim for £200. DR+ failed to contest the claim, so a default judgment was obtained against them. Presumably they are so used to sending out their own fake threats of court action that they did not realise this was a real claim. DR+ then failed to pay, which means they now have a CCJ entered against them, which can be enforced. Mr Wilkie scores a hat trick for the week - all three on the same basic argument. Today's case was UKPC v Dr M, at Worcester County Court. Yes, I know he was in Taunton on Monday and Scarborough on Wednesday - Mr Wilkie likes his mileage allowance a little too much, methinks. Dr M parked his car on the estate he lived on, and managed to acquire 23 tickets. All of these were for parking without permit or not in a place. The signage said "No unauthorised parking" similarly to the previously reported High Wycombe Three and UKPC v Mr M in Edmonton last week. days and 4 hours apart, yet the car had apparently not moved, and nor had the shadow of the overhanging building. As a result Mr Wilkie prepared a preliminary application citing UKPC and Mr M, and the DVLA ban for three months, and noting the likely non-attendance of the witness. On arrival at court, this was handed to the usher and served on UKPC's agent, an SCS/LPC rep, Ms B. Ms B was surprised by this, as she was simply intending to argue points of contract law and Beavis. As the preliminary application detailed issues with the witness statement, it was made clear that non-attendance of the UKPC witness would mean as a minimum an application to adjourn, and ideally to dismiss. The witness, Mr Elliot of UKPC, wasn't attending, nor was he going to, as he was on holiday for two weeks. As a result, when the case was called, the judge asked about the Adjournment, which Mr Wilkie submitted, and he then asked for the hearsay application for the witness statement. Ms B pointed to a letter which suggested this, but wasn't explicit. The judge was less than impressed, and struck out the case with the Defendants costs for the day. Needless to say that Dr M, the client, was absolutely delighted with the result. respect, especially as he has spent over 12 hours travelling this week, and less than 25 minutes actually before judges. It is rumoured that Mr Wilkie will be appearing in Berwick tomorrow morning at 10am and Truro tomorrow afternoon at 2, having breakfasted in Paris and luncheoned in Dublin. Something is obviously going wrong with a system when a parking company is ticketing someone for parking at their own residence, and is then refusing to cancel the charges and taking them to court. No reasonable person would agree that this is responsible parking management. Managing residents parking is all about allowing residents and visitors to park, while keeping away unwanted motorists. It is clear the system operated by UKPC is not fit for purpose if they are victimising the residents instead of providing proper management. More worrying is the re-emergence of fresh cases where UKPC have apparently doctored photographs. B5QZ3F1M MIL Collections v Dan N, a BMPA/PPA co production. Dan N parked in the car park of an old Pub in Whitby, intending to use the facilities. He found that the place was now a takeaway, and bought food there, but foolishly crossed the road, at which point a Parking Attendant from Combined Parking Solutions jumped on his car and wrote out a NtD. After a gamut of nasty letters from the PPC, this alleged debt was sold to MIL Collections, who decided to take Mr N to court for the £100 ticket, £50 debt collection charges, and £75 of some sort of ill-defined costs including the issue fee at Northampton. As a result, Mr N contacted the BMPA, where the case was passed to PPA, and allocated out to John Wilkie. A defence was filed, the court offered mediation, which Mr Bargepole agreed to do, the offer being "MIL pays costs to date". This was refused by MIL, unwisely as it turns out. The hearing was listed for today. MIL's evidence was supplied on 23 March and signed by the famous Matt Murdoch, twice, with two different signatures. The evidence pack had more holes than the traditional swiss cheese, and having pointed these out in a skeleton served yesterday, MIL emailed John Wilkie (not Mr N, or the court) at 3.52 yesterday saying they would seek an adjournment. On arrival at court, the court knew nothing about this adjournment, and we were therefore awaiting Mr Murdock. Mr Murdoch/k didn't arrive, but Ms Rehman, a local agent, did. She was the same local agent as Oldham on Friday last week, and had been provided with almost as much information by MIL - she hadn't seen the skeleton, and skim-read it while taking instructions, which were, of course "adjourn for 56 days". Called in, the Judge stated that the Claimant asking for an adjournment due to their own evidence is rare to say the least, and Mr Murdoch/k's failure to attend made it difficult to proceed, but he was not prepared to grant an adjournment, specifically because MIL had known about this matter for at least a week. As a result, MIL's conduct wasn't reasonable, and he was going to strike out the case. such that he would permit in the circumstances. Travel and Loss of Earnings were awarded for the customer, and over £150 in travel costs for my attendance - and MIL sent home with a(nother) flea in their ear. With John Wilkie now at 19-2 in parking cases, this does make something of a mockery of parking company claims that all parking charges are now enforceable following the Beavis case. Rather, The Prankster suspects that the Beavis case has emboldened parking companies to file cases for all kinds of flimsy claims which they would not have dared filed before. HHJ Moloney's decision to try and find reasons why motorists defences could be struck out therefore seems to have followed the law of unintended consequences, and increased the number of court cases rather than reduced them. On the plus side, The Prankster hears that the corner-shop in Truro outside MIL's offices is doing a roaring trade in JW effigies, candle-wax and pins. Talking of MIL, The Prankster wonders why MIL emailed John Wilkie when they have expressly ordered him never to contact them by email again. The Prankster also feels sympathy for Ms Rehman who was parachuted in at the last minute for a case where MIL failed to to follow court procedures from the outset, filing claims with undue haste, failing to answer part 18 documents and attempting to adjourn a case at the eleventh hour when they were aware of the issue over a week before. The Prankster also notes that Combined Parking Solutions usually conduct cases themselves and have a very good record when Mike Perkins appears on their behalf. The Prankster therefore cannot understand why they risked their previously claimed 100% enforceable ticket record by passing this case to a no-hoper organisation like MIL - unless of course they realised it was something of a hospital pass and not enforceable. MILs strategy of asking to adjourn cases when they know John Wilkie will be representing the defendant does not seem to be a viable long term strategy. The Prankster suggests they next time they get an offer from Bargepole, they take it. If you get a notice from MIL that they are seeking an adjournment you must still turn up to court - if you do not, and they conveniently forget to notify the court, you could find yourself losing by default. Only stay away if you have contacted the court to confirm the hearing will not take place, and preferably got written confirmation. Yesterday The Prankster received an email from a lady who has found she has a CCJ against her name. ParkingEye filed a claim against her using an address where she was not living. The lady, who was pregnant and unwell, is understandably worried. ParkingEye have made a habit of filing court claims using the wrong defendant address and every day the Prankster sees set-aside claims being heard in the court. A CCJ can stop you moving house, getting a new job or even gettigna new mobile phone and stays on your credit record for up to 6 years. It does not make sense that a Parking company can wreck your life without you even knowing, and without them bothering to spend around £1 to check that your address is correct. Statistically, ParkingEye cancel 65% of cases on appeal and a further 50% are cancelled by POPLA, so the changes of the charge being valid are small. Hoever, while it costs ParkingEye only £25 to file a claim, it costs £255 to ask for a set-aside, even if it was ParkingEye's fault they got the address wrong. Casehub are therefore considering taking a class action against ParkingEye. He’s a stickler for the rules, and could give anyone (even me) lessons in pedantry, so it was important to make sure all our paperwork was spot on. The original ticket had been issued for ‘leaving site’ by JAS at Staples, and it was the usual MIL rubbish claim with no proper Deed of Assignment specific to this defendant or amount, and with a ‘witness statement’ signed by the ephemeral ‘Matt Murdoch’. When we arrived at Court, I handed the Usher a preliminary application, stating that we believed the claimant’s witness statement had been signed by a fictitious entity, was probably perjurous, and should be disregarded. This was sent through to the Judge’s chambers. We were called in first, just after 2pm, and DJ Cross said that as there was no appearance for the Claimant, he was going to dismiss the claim. He made it clear that it would have made no difference if they had shown up, because the Deed of Assignment in their evidence pack was simply a general agreement between JAS and MIL, and it made no specific reference to this Defendant or alleged amount due. We applied for costs, both ordinary costs for loss of earnings, travel etc., and further costs due to the claimant’s unreasonable conduct. The Judge asked on what basis we alleged unreasonable conduct, and I pointed out that MIL had pursued the case all the way to court when they had no cause of action, and referred him to copies of other judgments (Bowker, Capaldi, Singh) where full costs had been awarded under CPR 27.14 (2) (g). He awarded a total of £195.80, including all the defendant’s normal costs, an additional 3 hours x £19 at the LIP rate, and my Lay Rep costs for attending. All done and dusted inside 10 minutes. It does seem bizarre that a company can make huge sums of money from claims which always fail in court simply by playing the legal system - file large numbers of claims and take the money from people who are intimidated by court; but not bother to defend claims if it does go to a hearing. The Prankster has heard that MIL are now trying to save money by discontinuing claims when they know the defendant has done their homework. Apparently there has been a flurry of Notices of discontinuance and at least one strike-out (failure to return N180). There have also been late notices requesting adjournment, possibly as a result of the stayed cases in Oldham and West Cumbria. The Prankster recommends always checking with the court to see if the case really has been discontinued or stayed, and turning up if you cannot get confirmation, taking with you any paperwork. If MIL discontinue then you should write to the court claiming your costs, charging your time at £19 at the litigant in person rate. State that MIL had no hope of winning the case as their claims are being dismissed all over the country, and you are claiming under CPR 27.14 due to their unreasonable conduct. Gladstones Solicitors are fast becoming the solicitors of choice for parking companies who don't care about winning cases and love to throw money away on legal fees. In this latest case reported to The Prankster, Link Parking were taking action against a company, M. Ltd, in Taunton Court. Link Parking were represented by Mr Gibson, while M. Ltd sent their employee Mr G, and were represented by John Wilkie. Mr Wilkie was late arriving due to the JW-mobile suffering a fuel pump issue. Luckily as he had rung ahead the court were tolerant of this. The Prankster advises defendants to take note and always contact the court if they are going to be late. On arrival, Mr Wilkie met the solicitor for the claimant, Andrew Gibson - a local lad who was the latest recipient of a Gladstones hospital pass. Mr Wilkie enquired where Martin Gardner, of Link Parking, was -the witness statement said he would be attending court. Mr Gibson said he wasn't coming, to which Mr Wilkie pointed out the witness statement, and said the defendant would be seeking at the least an adjournment with wasted costs, which Mr Gibson agreed would be a reasonable thing to ask for. The parties dabbled in evidence on a few points, and then were called in. Once the hearing started, Mr Gibson gave way to the the defence to put the housekeeping point, and the judge was not amused. Having himself only just seen the witness statement (no copy filed, apparently) he also pointed out that the Particulars of Claim were entirely deficient in themselves, and directed the parties to the Exeter case where a similar Gladstones claim was struck out. Mr Gibson was floundering at this point - he had been parachuted in this morning and it is difficult not to feel some sympathy with a solicitor handed a bundle of the quality he had to deal with. He accepted that the claim was initially deficient, but suggested, several times, that the matter could be decided today on the papers. Mr Wilkie pointed out that the witness hadn't given notice, and while this was Small Claims, it is still a matter of courtesy. He asked the judge to either dismiss the claim or adjourn with wasted costs and an "unless" stay. The judge decided to go all the way to dismissing, and that meant the only argument left was costs. Mr Wilkie used CPR 46.5 for his expenses, and claimed that this should be awarded under 27.14(2)(g) (unreasonable costs) - the judge concurred, and made a costs order for over £150. The reasoning for the order was largely due to the fact that Mr Wilkie had managed to travel over 100 miles to assist the client at no advantage to himself, while Mr Gardner had not troubled himself to come 10 miles to present his case. Given further the deficiencies in the Claimant's case, particulars and witness statement, the judge found the Claimant to have acted unreasonably. The judge mentioned that Mr Wilkie's name was known among his brethren. Link Parking will have therefore shelled out something approaching £700 in order to try and speculatively recover £100. Once again Gladstones Solicitors are the only winners. As the Notice to Keeper was not compliant with the keeper liability provisions, the Prankster considers that Link Parking had no reasonable chance of succeeding - a limited company cannot after all possibly be the driver. Additionally no notice to driver was ever served. Although Mr Gardner's witness statement claimed it was, he offered no satisfactory evidence or even a copy in his witness statement. When the Notice to Keeper was finally served after 58 days, Link Parking refused access to an appeals service unless M. Ltd paid a fee of £15, and then proceeded to court with indecent haste, ignoring M. Ltd's communications, and before the appeal window had expired. The witness statement was full of holes, inconsistencies, bluff and bluster and untrue statements. The judge was obviously not fooled by it in the least. However, the most worrying aspect of this case is that if M. Ltd had taken up Link's offer to use the IAS, then not only would they have had to pay £15, but would have had to agree to abide by the IAS's decision. As the IAS is well known to be a kangaroo court, with judges who are either incompetent or biased, they would have ended up having to pay the parking charge even though as we have seen the court ruled that there was no case to answer. This throws the whole credibility of the IAS into question. Why should Will Hurley and John Davies be allowed to run an appeals service, when their record at Gladstones Solicitors clearly shows they have no idea of what does or does not constitute a reasonable case? The Prankster considers that the only reasonable way forward would be to remove the running of the IAS from the IPC and give it to an independent body. The code of practice should also be overseen by an independent body. This week the British Parking Association held a parking summit to discuss the future of the industry following the Supreme Court case of ParkingEye v Beavis and the government investigation into unfair parking practices. It was hoped that the government would make an announcement, and the date was set around the Minister's availability for that reason. Sadly at the last minute he was unable to make it and sent a video recording instead. It appears that the government's position is that consultation is still ongoing and they are unable to make an announcement, or even set a date when they can make an announcement. The summit continued anyway, with speeches from the opposition Minister, and from representatives from the DVLA and DCLG. The BPA had also invited speakers to talk on a number of topics. The format was that each session had 3 short speeches from a parking operator, motorist representative and landowner representative, followed by questions and answers. The Prankster was invited to speak on the topic of "fairness in the judicial system." 1. Landowners have rights, but with rights come responsibility. They must take more responsibility for what happens on their land. 3. The only way to achieve the above points is through legislation. A single standards body and appeals system is necessary. At some point in the sessions Lords Hurley and Davies stopped fiddling with their mobile phones and laptops long enough to generously offer to provide the single appeals service, which was greeted by a tumbleweed blowing across the room. Nicola Mullaney (ISPA) pointed out that an appeals service could not be fair if the assessors names were kept secret, and that any system where businesses could forum shop to choose an inferior appeals service was worthless. It was also pointed out that the ADR Entity status was currently worthless because the CTSI had been handing out accreditations like confetti, without proper checks and balances. I get 5 to 10 emails a day from motorists asking for help. In the vast majority these are not parking abusers but genuine customers (now ex-customers) or residents falling foul of schemes designed to generate penalty revenue rather than provide proper management. many of these are from disabled motorists or elderly people - the vulnerable members of society. ParkingEye v Beavis is being touted as the legal principle that all parking charges are valid. This is a red herring. The Beavis case was only about establishing whether the penalties rule applied if a charge was not a genuine pre-estimate of loss. I don’t remember winning any court cases pre-Beavis on charge levels. Yet I’m winning just as many cases if not more post Beavis – perhaps this is because the Beavis case has encouraged parking companies to file more claims, no matter how flimsy the grounds. POPLA's statistics show only 5% of cases were stayed pending the Beavis case because the charge levels were queried; yet around 50% of appeals are upheld, mainly on grounds of signage. This is reflected in the court process. Is it fair that a motorist can end up with a CCJ and not be able to get a mortgage, or a job, or even worse - renew their mobile phone - even though they never received a notice to keeper, letter before claim or claim form, because the DVLA held incorrect information? Is it fair that a motorist is taken to court for not seeing the signs on a site where the operator then suspends self-ticketing operations for poor signage? Is it fair that an operator deliberately delays paying in a judgment cheque for 8 days in a vindictive attempt to give a motorist a CCJ and then boasts about it? Is it fair that an operator submits the same photograph as evidence of parking in two different court cases for two different dates and times? Is it fair that a parking company files false evidence regarding charge levels in hundreds of court cases? Is it fair that parking companies redact the part of their contract which shows they are acting as an agent in court, and then claim they are acting as principal? Is it fair that a debt collection company files witness statements in the name of a person who does not exist, possibly in contempt of court? Is it fair that a motorist is taken to court when the parking company knows they were neither the keeper nor the driver, because the car was stolen or sold? Is it fair that a motorist is taken to court when they visited the car park twice and the ANPR was faulty? Is it fair that a motorist is taken to court when the ANPR does not cover all entrances and exits? Is it fair that a debt collector can tell the court have purchased a debt when in reality they are splitting the winnings with the parking company? Is it fair that parking companies are taking employees to court as revenge for their contract being cancelled by the landowner? Is it fair that a solicitor is filing claims when he has been banned by the SRA for acting in that capacity? It it fair that solicitors are filing claims without doing any due diligence as to whether a valid claim exists? Parking cases are now hitting such levels that there should be a specific pre-action protocol for parking cases, requiring the operators to properly state their case and provide information about signage, keeper liability and enforcement rights. Specialised parking courts could hear cases in bulk, and would have knowlege of the which parking companies file claims with no intention of actually attending hearings. There should be an independent appeals system run by the government, whose decisions mirror the courts as much as possible. POPLA has suffered because it changes hands every 3 years, while the IAS does not provide a viable alternative. The Prankster would like to say he got a standing ovation, but in practice he probably got as many tumbleweeds as the Lords Hurley and Davies. Debt Collection companies regularly lie and provide false information, secure in the knowledge that their victims do not know the real situation, and even if they did, no-one in authority is likely to care if they complain. Bizarrely, they are even allowed to lie about certain things - for instance, it is permissible (for security reasons) to use false names. This is even enshrined in their code of conduct. However, they are not allowed to use these fake names in court. Using a fake name on a witness statement would be contempt of court. The “witness” is giving a statement of truth that it is the evidence of fact of the fake person. Thus that statement of truth is false. Providing a false identity to the court can also be perverting the course of justice. Matt Murdoch is the person who signs witness statements for MIL Collections Ltd. The problem is, he does not appear to exist. Although a large number of MILs employees have been traced and identified via social media, Matt Murdock is not one of them. He does not appear in any photographs on social media and does not have any entries. He is not referred to by any of the other MIL employees in their social media. MIL informed their advocate representing them in a recent claim that Matt Murdoch was based at their Truro office. However, there is no-one called Matt Murdoch on the electoral roll in Cornwall or Devon. Matt does not even appear to know his own name, spelling it Murdock on occasion. And, most tellingly, The Prankster has inside information alleging that Matt Murdoch does not exist, but is a mixture of people within the legal team who work for MIL. This information has now been laid before judges in several cases, resulting in them being adjourned so that MIL could answer the question as to whether Matt Murdoch exists or does not exist. Have you received a witness statement signed by Matt Murdoch? 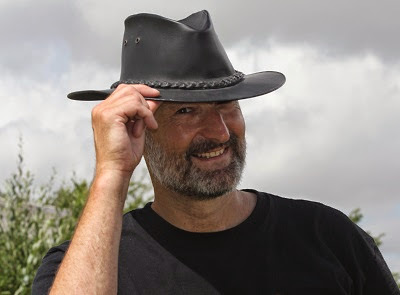 If so, The Prankster suggests that you write to MIL and the clerk of the court, informing them that you have reasonable belief Matt Murdoch does not exist and it is therefore a possible contempt of court to file such a witness statement. Inform them that several judges have now stayed cases and are waiting on the results of MIL v Mr W case B4QZ7FOM at West Cumbria Court, and MIL v Mr C in Oldham where MIL have been ordered to furnish proof Matt Murdoch exists by 20th June. MIL collections lose in court. Evidence bundle apparently worse than Gladstones! Briefly put, my niece allegedly parked without authorization on a staff car park at the rear of Specsavers in Harborne, Birmingham in December 2014. She had been given a permit by her employer to park there but on that particular day, her parking permit may have fallen from her dashboard. A parking ticket was placed on her vehicle for 'unauthorized parking' by the operator of the car park, Premier Parking Logistics. The limited signage at the car park warned motorists that the car park was for 'permit holders only' and 'unauthorized or incorrectly parked vehicles would be subject to a penalty notice'. Rather than ignoring the ticket, (Premier Parking Logistics is not an accredited trade association), my niece unwisely appealed the ticket (thus providing her details) and the appeal was summarily dismissed. On my advice, she later ignored all other requests for payment from this company. My niece subsequently received the usual 'letter before action' and 'notice of assignment' of the 'debt' from MIL Collections. She ignored this and was duly served with a County Court claim in February 2016 for almost £200 (original ticket penalty+court costs+administration fee). Fortunately, I am legally trained (but no longer live in the UK) and drafted her defence: vehicle was authorized; no conditions breached; debt denied; POFA not complied with; lack of authority from land owner; no valid assignment of debt; claim void because of champerty and maintenance etc., etc. I also drafted a Part 18 request for information in relation to the authority from the land owner and the assignment of the debt. Of course, MIL did not respond. In April 2016, my niece received a court date and court directions to exchange evidence and witness statements with MIL. The judge suggested that the case was suitable for court-led mediation; MIL wished to engage in the process but I advised my niece to decline the offer - there is little point in attempted to negotiate a debt that does not exist. So, my niece sent the required bundle of evidence to MIL and the court and, surprise, nothing was received from MIL. The court hearing was set for this morning (Friday 13 May 2016) and my niece and her dad (my brother) attended. On this occasion, MIL had engaged a local solicitor and he was present at the courthouse. Just before the case was to be called in, the solicitor provided my niece with the 'evidence bundle' (I use this term very loosely). The evidence bundle contained a photograph of a sign which clearly did not belong to the car park on which my niece had parked; moreover, the sign contained irrelevant conditions in any event. MIL had kindly included a 'deed of assignment' which was undated and was signed by someone other than the proprietor of Premier Parking Logistics (one Walton Wilkins)! There was some vague reference to landowner authority in the statements but no evidence to show that Premier Parking Logistics had any legal standing to manage car parking and/or resort to litigation on behalf of the landowner. My niece and brother went into court and it would appear that the judge was less than impressed. I had advised my brother to ask the judge to dismiss the case because of non-compliance with the prior directions of the court and that my niece was effectively being 'ambushed' with late service of the evidence bundle from MIL. My brother tells me that the judge did not wish to hear any representations and merely asked the solicitor a couple of questions and informed him that the case was fatally flawed since there was no evidence of any authority from the landowner. He also criticized MIL for not replying to the Part 18 request. So, case dismissed and an award of costs for £94, payable within 14 days. The judge also told the solicitor to ensure that MIL pay the costs as ordered (we shall see). It is clear that no responsible parking company would pursue a parking charge when the motorist possesses a valid permit to park. This charge should have been cancelled at the appeal stage. Responsible parking management is about deterring unwanted motorists, not penalising your own client's staff. As to whether MIL Collections will pay the £94, The Prankster doubts it. MIL Collections have so far not been known pay any costs ordered by the court. The Prankster therefore invites MIL victims to get in touch, together with the date of their court hearing and the amount still owed. It is possible that some concerted action can then be taken against them. Following the debacle of Link Parking Ltd -v- Cowles - Chippenham County Court 24-11- 2015 ref B5GF95H3 we understand that Link Parking - its sole director and shareholder Martin Toby Gardner and his/its/their solicitors - Gladstones Solicitors of Knutsford, Cheshire were once again in action in Barnsley County Court on 18th March 2016. The Action concerned Link’s contract to manage parking at a block of flats in Yeovil, Somerset. The contract with the management company of the flats was signed on 17th September 2014 - there was no indication of when the contract should start – Link issued a PCN to the Defendant timed at 08.49am 17/09/2014 photographic evidence allegedly supporting the PCN timestamped 08.50.20 and 08.50.38. Their Claim was for damages for “not clearly displaying a valid permit” – the Claim was poorly pleaded at first instance and then expanded in the Claimant’s evidence disclosed 14 days before the final hearing. Companies’ House confirms that Martin Toby Gardner is the sole director and sole shareholder of Link Parking Limited – he was effectively the Claimant in these proceedings. Gladstones Solicitors acted on his/the company’s behalf throughout - possibly as a result of Link’s membership of Independent Parking Committee Ltd - an “Independent Trade Organisation” of which the only two directors and shareholders shown at Companies’ House are also the only two Directors of Gladstones Solicitors Ltd. Neither Mr Gardner nor his solicitors attended the hearing on 18th March. We understand that the evidence disclosed by the Defendant in this matter raised potentially embarrassing questions for Mr Gardner. Neither the Court nor the Defendant was aware that Mr Gardner would not be appearing. Mr Gardner’s home and place of business was some distance from the court - his solicitors were approximately an hour away. As the District Judge commented, there would have been provisions for the award of loss of earnings and travel expenses if Mr Gardner had been successful. It was suggested that some notice had been given to the Defendant when Mr Gardner’s Statement had been served, 14 days before the hearing, that he may not be attending – no evidence of this was provided – we have to doubt there was any. Mr Gardner and his solicitors chose not to attend Court - preferring instead to make what in rugby circles would be described as a “hospital pass” of this matter - described later by the District Judge as “fundamentally flawed” - to an independent advocate who conducted the matter entirely professionally and courteously - definitely deserving better! Since Mr Gardner chose not to attend Court to prove his Evidence, ie the Witness Statement he had signed and filed, this would be regarded as “hearsay evidence “ and the Judge would be allowed to place such weight upon it as he wished. If as suggested, Mr Gardner had considered the financial and we suggest the personal embarrassment factors in this matter, his Witness Statement - presumably prepared on his behalf - would have dealt with the matters commented upon by the District Judge which resulted in the dismissal of his case! The District Judge heard representations from Link’s Advocate and evidence from the Defendant and did not wish to hear any representation on behalf of the Defendant. This case was fundamentally flawed. There was a burden upon the Claimant/Link Parking to prove on the balance of probabilities that the Defendant was in breach of a contract by not displaying a valid Permit and should therefore pay damages resulting from that breach. Plan; this is a Google Earth copy plan. It does not identify the site or who produced it or when. There are black lines drawn upon it and dots which are suggested show the signage at the site. There is writing on the Plan - I do not know if this is Mr Gardner’s or someone else’s - he does not say in his Statement – there is a ref to Type 1 and 2 signs fixed alongside each other. There is further ref to Site No 57 - I note that the PCN in this matter shows Site code 67 and Operator 000004 - these are also unidentified. Mr Gardner shows an “image” - not a photograph - of a sign he say is shown on the site. This is a multipurpose sign - shows no site/location reference. Only one “image” is exhibited – it is unclear which type is displayed in the unidentified photographs produced by Mr Gardner. There could and should have been clear photos of the signs which appeared on the site. Photos; these and the photographer are not identified - they show a car parked in a bay datelined 17/09/2014 timelined approx. 08.50. Were the signs referred to type 1 or 2 or neither ?- it is not clear – there is no evidence. It is also suggested that these photos show the Defendant’s breach by not displaying a Permit. They do not. A photograph of the car’s windscreen for example is not produced - there is no evidence. 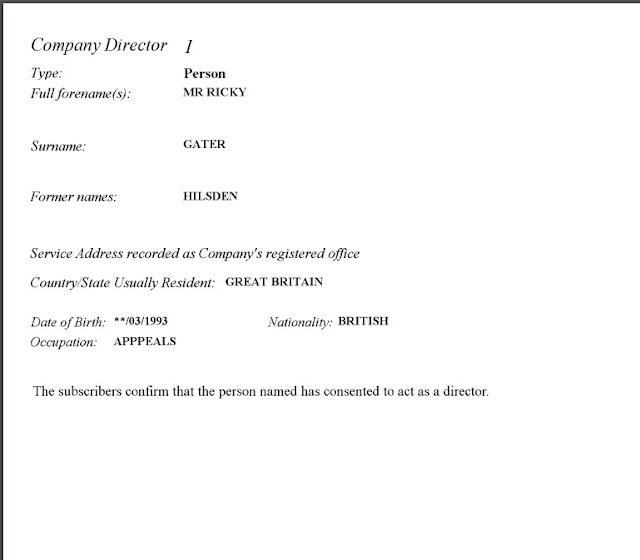 Contract; this is dated 17th September 2014 - the same date as the photographs. It is not clear and there is no evidence when the contract started and there is no evidence as to who put up the signage and whether this was before or after the commencement of the contract or before or after the Defendant parked. Clearly if the signs were put up after she parked there can be no contract with her– there is no evidence. The Contract also refers at Sch 2 to “Number” of signs which is blank which further suggests that no signage was available to the Defendant. Amount; the claim is for £150 – the sign “image” refers to a fee of £100 - £60 if paid within 14 day s. It further refers “Enforcement action may incur additional costs that will be added to the parking charge” - presumably this means that if taken to Court further charges may be incurred - this cannot be proved - there is no evidence. Link Parking has been a member of Independent Parking Committee Ltd since April 2014 – they have been subject to that “Independent Trade Organisation’s” Audit provisions. It was put on notice that details of that Audit would be requested on this hearing. parking sector throughout England Wales and Scotland to the benefit of motorists and parking operators”. The Parking Control Industry has attracted much negative comment and despite the suggestion that Protection of Freedoms Act 2012 would remove rogue and “cowboy” elements - it would appear that the existing controls are ineffective. By the way the costs were paid without difficulty or further comment. The guest blog above was provided to The Prankster. The following comments are The Prankster's alone. It beggars belief that parking companies continue to use such an incompetent firm of solicitors as Gladstones. Time and time again The Prankster has blogged of claims where the witness statement prepared by Gladstones is full of holes and/or the judge finds there is no claim to answer. A solicitor has a duty of care to their client to advise them whether they have a realistic chance of success, and also to inform them of the likely costs. It is clear that the only winner in these cases is Gladstones. Even if Link had won this claim they would only be getting £100, while they would have to pay the solicitor who represented them £150 to £300, Gladstones £50 to file the claim, and Gladstones an estimated £100 to prepare a witness statement. So Gladstones make £150 while the parking company lose up to £350! Perhaps someone should direct Mr Gardner to a maths course. Even worse, the directors of Gladstones are also the directors of the IPC (Intergalactic Pudding Club**), a trade association for parking companies. If Will Hurley and John Davies truly believe that Link had a valid claim in this case, then the whole foundation of the IPC is built on a lie - a trade association run by people with poor understanding of the law regarding parking and therefore no credibility. And of course if Will Hurley and John Davies knew that Link had no reasonable prospect of success then in The Prankster's opinion they are no better than scammers. So, are Will Hurley and John Davies fools or knaves? Either way leaves the parking industry in a difficult place. Incidentally, the IPC code of practice has this to say regarding enforcement on new sites. The Prankster has never known any IPC member obey this directive, including of course Link Parking in this particular instance. If the IPC wish to retain any credibility they need to start enforcing their own code of practice - if not, this suggests that Will Hurley and John Davies are merely sophisticated scammers, fooling the DVLA into giving the IPC ATA status by pretending to have a reasonable code of practice while in fact not bothering to enforce it. The Prankster has previously blogged about the domain peoplesparking.org, which according to whois was registered by John Davies of Gladstones Solicitors on 28th October 2015. Any information available from whois is of course, in the public domain. The Prankster blogged about this domain at around 4am on the 21st February 2016. By 6.30pm it appears John Davies and Gladstone Solicitors no longer wished to be associated with this domain, and the registration information was transferred to Patron Hallow, a company owned by...John Davies and Will Hurley. The Prankster blogged about this on 27th February. It appears Patron Hallow also had a change of heart and 4 days later the domain was transferred to Helen Dolphin. Of additional interest is the domain peoplesparking.co.uk. This was registered on the same day as peoplesparking.org, 28th October 2015. According to whois, the publicly available information on this domain shows it was registered by a UK individual, John Davies. This domain is currently not in use. The Prankster has no idea why John Davies of Gladstones Solicitors would register one domain on behalf of his client, People's Parking, and a very similar domain as a private individual which he has kept for himself. The IPC are currently advertising peoplesparking.org on their home page. John Davies and Will Hurley are also directors of the IPC. 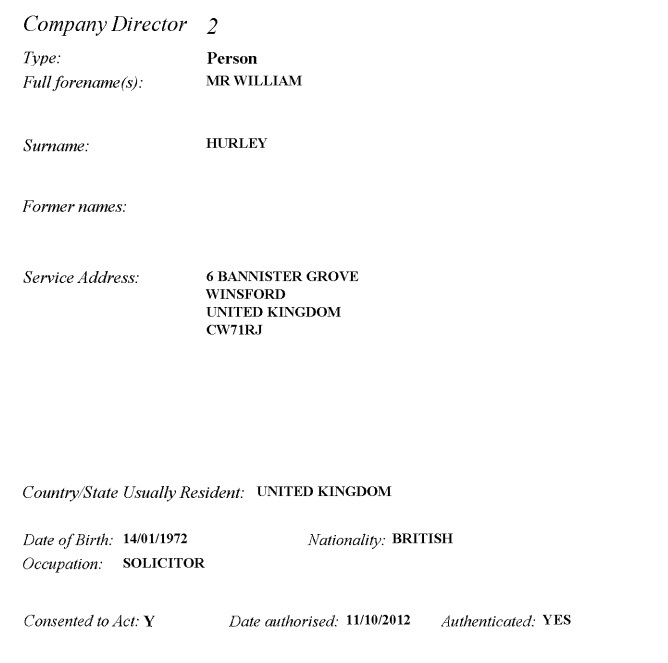 According to publicly available documents filed at Companies House, the IPC was incorporated in 2012. Ricky Gater has started yet another parking appeals company, this time called Parking Eye Appeals Ltd.
Mr Gater has been the straw man fronting a number of failed appeals companies, all having a similar modus operanti. The company starts processing claims legitimately, even getting some cancelled. However as customers increase and failed appeals mount up, the company phoenixes, leaving a string of unsatisfied customers. Previously the man behind these companies has been Phil Hilsden, and The Prankster previously blogged about Mr Hilsden here. 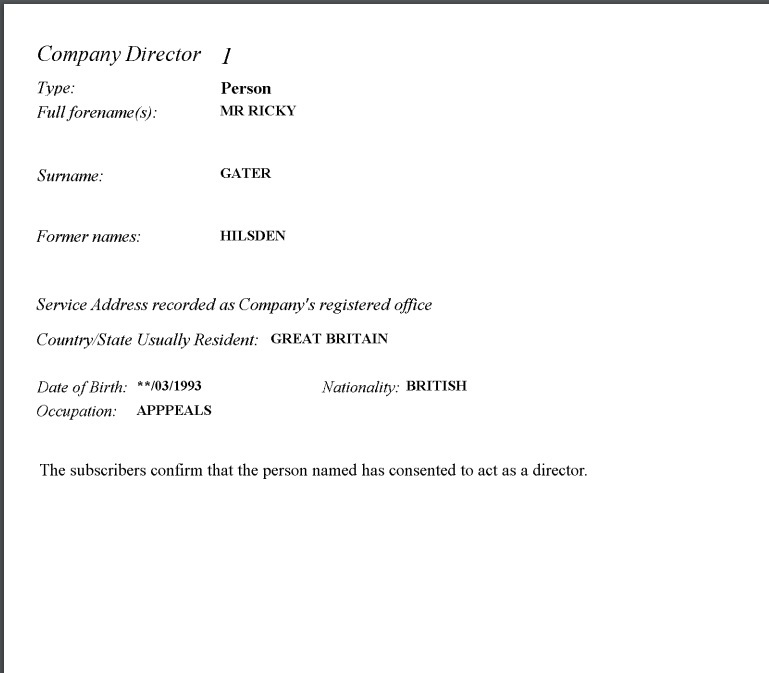 Mr Hilsden also apparently provided false names and address for drivers to parking companies, and therefore presumably these companies would be quite keen to get in touch with Mr Hilsden, in order to get to the bottom of the matter. Given the history of Mr Gater's past business failures, The Prankster would also advise extreme wariness regarding this new company. There are legitimate companies who assist with appeals, but on past form, this is not likely to be one of them. Although there is a 'real' Ricky Gater, it now appears there may be more than one. Has Phil Hilsden changed his name to Ricky Gater? Only time will tell. New kids on the block BW Legal have finally filed a parking claim after months of speculation on the parking forums whether they were just debt collectors. or whether they would actually file a claim. This post on pepipoo states they have filed a claim on behalf of Excel Parking. (The Prankster is aware of more claims also filed in this batch). Somehow the parking charge of £100 has been artificially inflated to £245. They have picked a fairly interesting case to start with, which in The Prankster's opinion shows their unsuitability for the job. In this particular case, the keeper is not the driver and therefore BW Legal will have to rely on keeper liability. However, Excel Parking, by their own admission, do not serve Notices to Keeper which are compliant with the Protection of Freedom's Act 2012. BW Legal are fully aware of this, because they have been informed by The Prankster. Regardness of the correctness of the notice, keeper liability would not apply in any case because Excel Parking have been informed of the name and address of the driver before proceedings started. BW Legal are therefore early contenders for The Prankster's "Most Incompetent Solicitors of The Year" annual award. This is not a done deal - they will have a long way to go to match Gladstones Solicitors. As well as filing incorrect information in witness statements, Gladstones have also filed claims against keepers in cases where keeper liability did not apply and where the keeper was not the driver. Gladstones are therefore in The Prankster's opinion, still currently the most incompetent solicitor firm currently handling parking related cases. This is slightly worrying, as the directors of Gladstones are also the directors of the IPC (Intentionally Perverse Corporation**), and therefore their incorrect interpretation of the law financially affects millions of motorists. The case filed by BW Legal concerns the Peel Centre. This is one of the most complained about car parks in The Prankster's postbag, which in The Prankster's opinion is because it is one of the worst signed car parks in the country. A motorist could for instance drive in and park by KFC without ever passing a readable parking sign. So many motorists complain of not seeing the signs that it is obvious something is badly wrong. 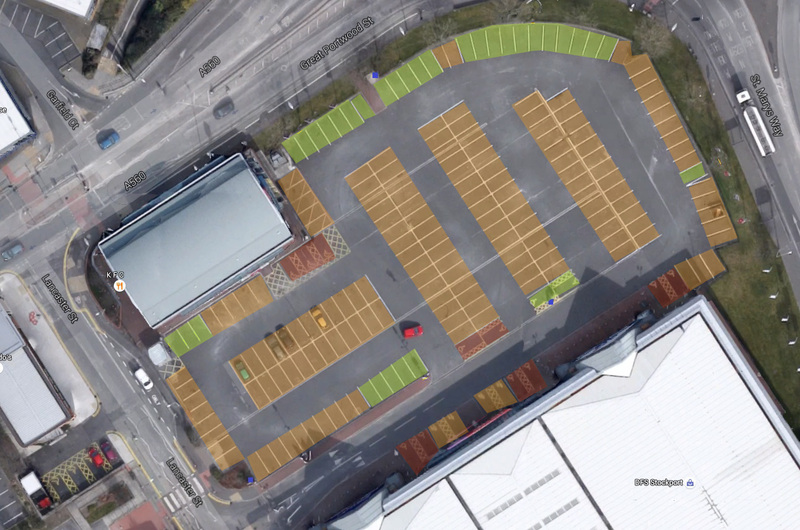 The diagram above shows most parking spaces are not within easily visible range of a parking sign. Of course, just because a firm of solicitors is incompetent does not mean they will not win court cases - even Gladstones won one recently. The small claims process is something of a lottery so The Prankster suggests all defendants file robust defences.